Take a moment this holiday season for yourself. 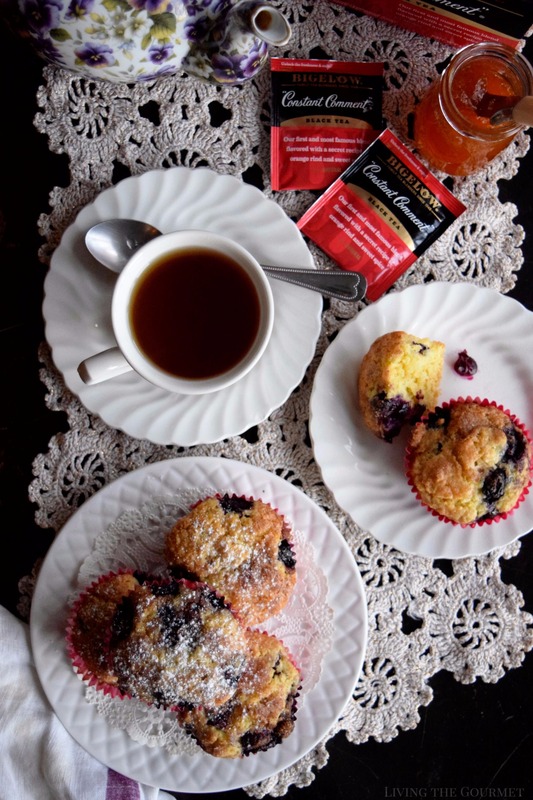 These simple and easy Lemon Blueberry Muffins are perfect when paired with your favorite tea for a relaxing morning or afternoon break. Indeed, that’s become the cliché of my existence since the ‘writer’ portion of what I do here at Living the Gourmet has found me succumbing to the stereotype that accompanies writers and black coffee – and much to my detriment. A recent bout of persistent indigestion that manifests only late night and early in the morning, however, has left me both unwilling and unable to tolerate my daily coffee regimen. 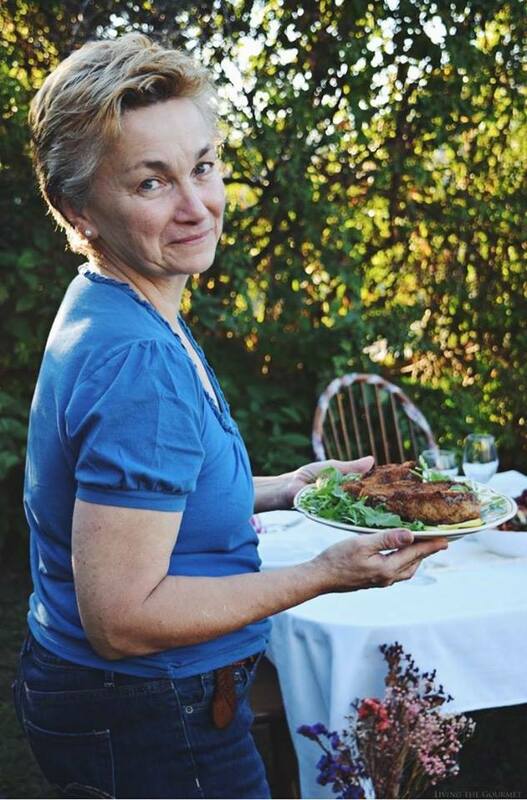 However, much to my surprise, this unpleasant experience has, conversely, led me to something quite pleasant – morning and afternoon tea. While there is certainly an innate pleasure to be found in the breaking of tired habits, I can’t help but feel that there’s a certain bit of nostalgia at play on my part, as I found an almost childlike sort of joy in my new morning routine. You see, despite growing up in a first generation Italian home where coffee was king, tea was nevertheless a part of my daily routine. 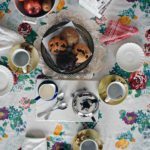 Almost every afternoon upon returning home from school, my mother would have tea and some sort of ‘snack’ waiting for me, usually a homemade muffin, cookie, or biscotti. That sort of soothing combination of tea and a light snack has been precisely what I’ve needed over the last few days. 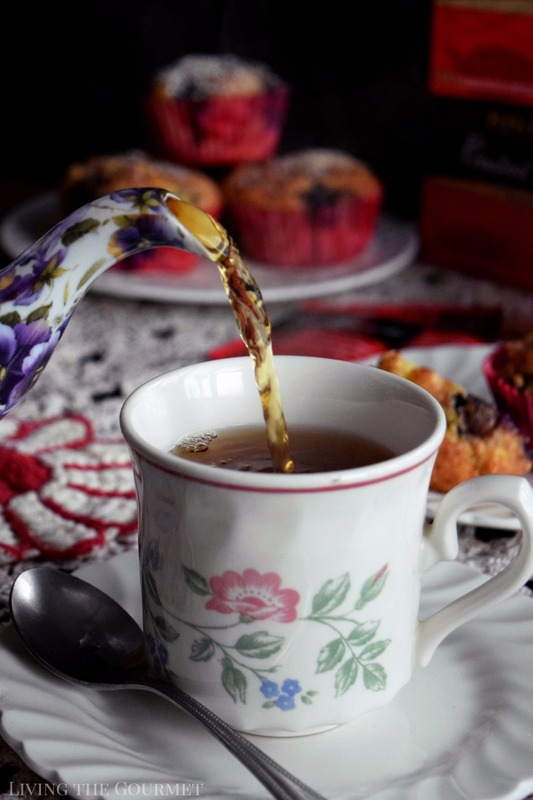 Indeed, I’ve changed my morning routine from a ‘rush into action’ to a sort of ‘preparation through zen,’ giving myself a quiet few moments to gather my thoughts, release any pent-up stress, and recharge. 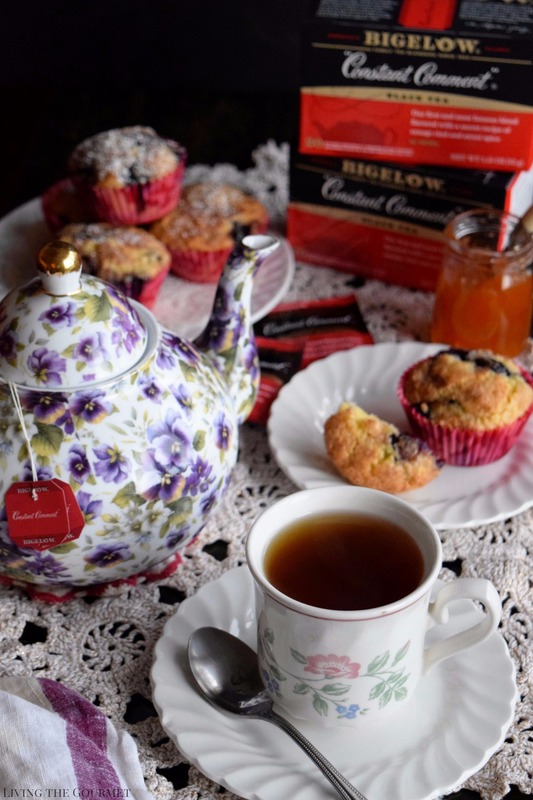 Taking a page from my mother’s book, my morning bite of choice has been, you guessed it, today’s recipe – Lemon Blueberry Muffins, paired with Bigelow Constant Comment Tea, which I always grab a few of on my supply runs to Walmart. To start things off, we zest about a tablespoon of lemon and squeeze about two tablespoons of fresh lemon juice. Set that aside, and then sift together flour, baking powder, and salt, and set that aside as well. Now, since butter makes everything better, cream about a half-cup of butter with sugar until it’s nice and creamy, and then add in the yokes and continue to beat the mixture until it is quite smooth. Then slowly add the flour mixture, along with the lemon juice and vanilla, being careful not to over mix the resulting batter. 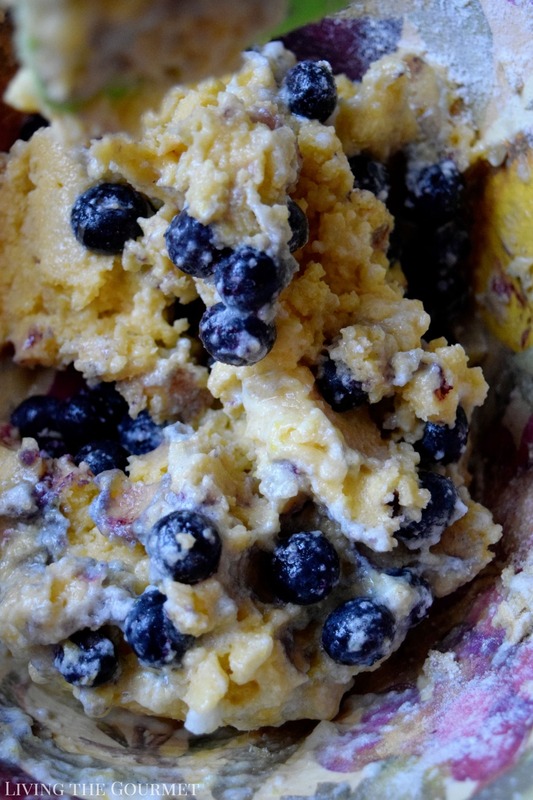 Up next, beat together the egg whites until they are stiff, and then fold them with the lemon zest and blueberries into the batter, and fill this resulting mixture into lined muffins tins. Only fill the muffin tins about three-quarters of the way up, however. Then sprinkle the top of the crumbs with a sugar and cinnamon mixture. Then simply bake for about twenty-five minutes, and serve warm with jam and Bigelow Constant Comment Tea. Zest both lemons, about 1 tbs. of lemon zest. Squeeze about 2 tbs. of lemon juice and set aside. Cream the butter with ½ cup of sugar until smooth and creamy. Add the egg yolks to the butter mixture and continue to cream to a nice smooth mixture. 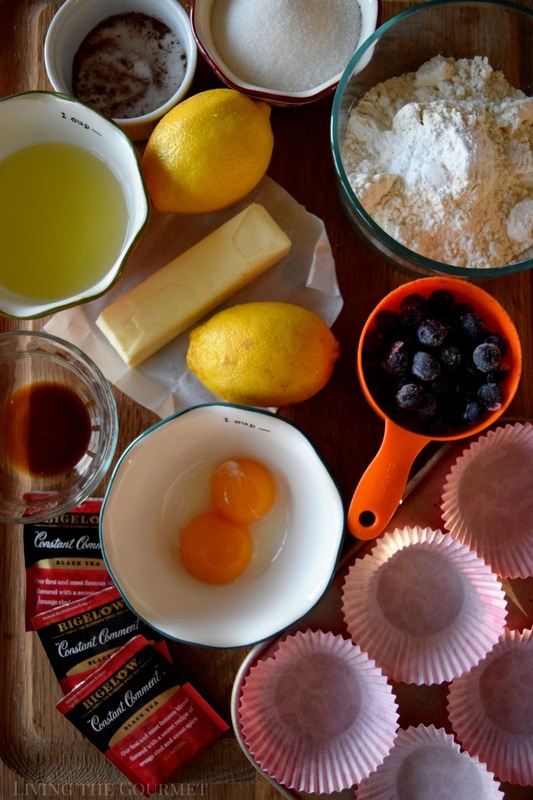 Slowly, add the flour mixture to the butter mixture along with the lemon juice and vanilla, do not over mix. Beat the egg whites until just stiff. Fold with the lemon zest into the batter. Gently, fold in the blueberries. Fill the muffin tins about ¾ full. Combine the 2-tbs. sugar with 1/4 tsp. 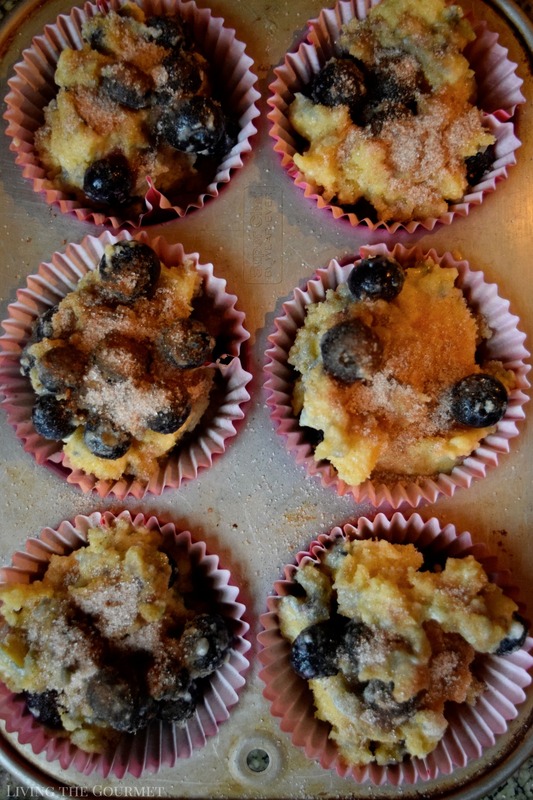 cinnamon and sprinkle over the tops of the muffins. Bake 25 minutes or until the toothpick test comes out clean. 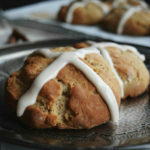 Best if served warm with a pat of butter or jam alongside your favorite Bigelow Tea! 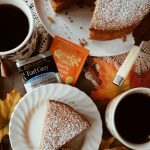 What are some of the ways you Tea Proudly? We would love to hear from you. They look so good fresh right out of the oven and perfect to enjoy with a pot of freshly brewed tea with the friends and family! 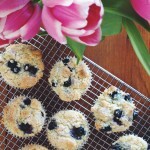 I love a good blueberry muffin and these sound yummy! 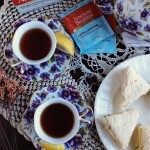 And while I'm not a tea drinker, my husband loves his cup of tea and Bigelow is one of his favorite brands. 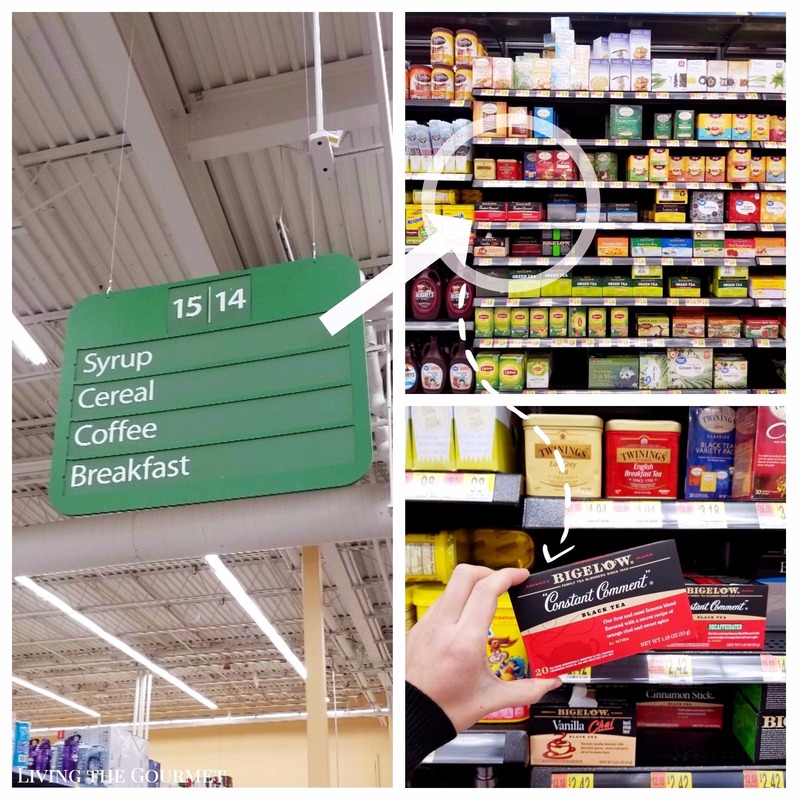 Glad that you found an alternative to coffee that you can enjoy...I know that would be tough one for me! A wonderful combination! 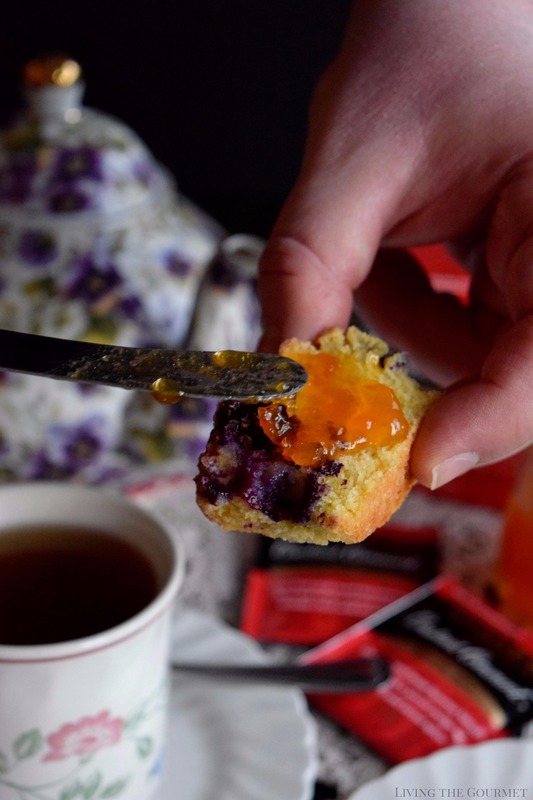 I could eat muffins and drink tea everyday. I actually just started drinking warm tea. I still needy coffee in the morning but an afternoon tea is a great idea! I love the combination of blueberries and lemon, so good! 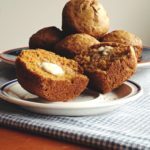 These muffins look wonderful. I have a cup of tea pretty much every afternoon (including right now) when my twins take their nap. I need muffins, too! 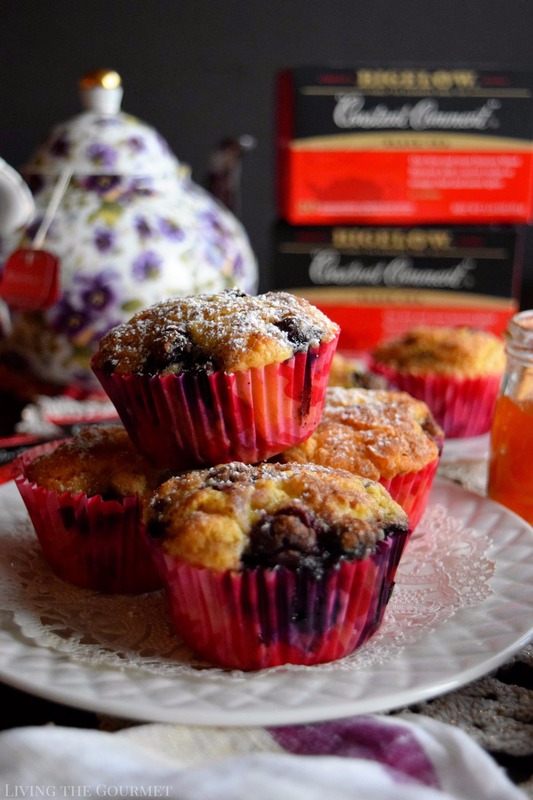 Lemon blueberry is my favorite when it comes to muffins and I bet these are so wonderful with a cup of tea! I love lemon blueberry flavors! Best flavor combo! I've never heard of that brand of tea before, I'll need to try them out because I'm a tea addict. The muffins look delicious! I make something similar. So yummy. Love the smaller amounts of ingredients. So good for baking it for one weekend brunch. These muffins look totally delicious. I love the lemon and blueberry combo together.